Below is the most commonly asked questions we get. 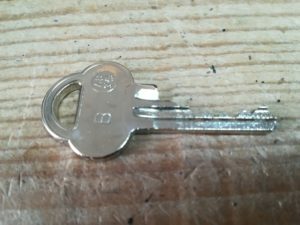 Please note that on occasion a key will not work following it being cut at the shop, this is more common on Mortice keys as there is a very fine tolerance in the cuts, in the event of a key not working following it being cut please bring it back to us with a working key and we will run it through the machine again, or we may cut a new key. Q: Our PVC door has stopped working, do I need to buy a new door? A: No, we can gain entry to these and replace the cylinders or gearboxes for the vast majority of them. 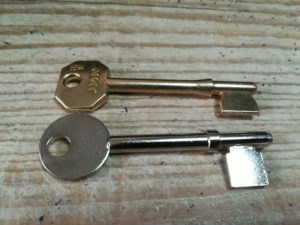 We can for most doors supply a like for like replacement but in some cases would have to supply an alternate which wouldnt be a multipoint style lock. Q: I need a specific size/type of tool/kitchenware and I cant see it in the shop? A: In general we put all stock options on the shop floor but around the time that we have deliveries there can be a delay in us getting the stock priced and placed on the shop floor, additionally certain items like knives are kept behind the counter. Ask at the counter and if we dont have it then unless its an extremely specialised item we can usually get them in within a few days. Q: I had Dulux paint mixed but I dont like the colour, can I return it? A: Unfortunately we no longer offer a paint mixing service as we had found that the space it took up for the machine, stock, supplies etc versus what the machine made in terms of profit and the substantial amount of maintenance required we determined that conventional stock would be a better fit for our business. There are several shops in town that provide a paint mixing service if you require this. If we were still to offer this service though then no you couldnt return a custom mixed paint unless it was defective, as the paint is specific to your request, we did on occassion darken or lighten the paint to try to assist the customer if they didnt like the colour they requested. Q: What can you engrave onto? A: We can engrave onto many materials. Hip Flasks, Slate, Brass, Plastic, Wood, Corian and others. We cannot at present do items that are extremely curved as our machine has no way to mount them but things with a slight curve like a hip flask can be done. See our Engraving Gallery for some examples of things we have engraved. Q: What is the difference between a Cylinder/Mortice Key? 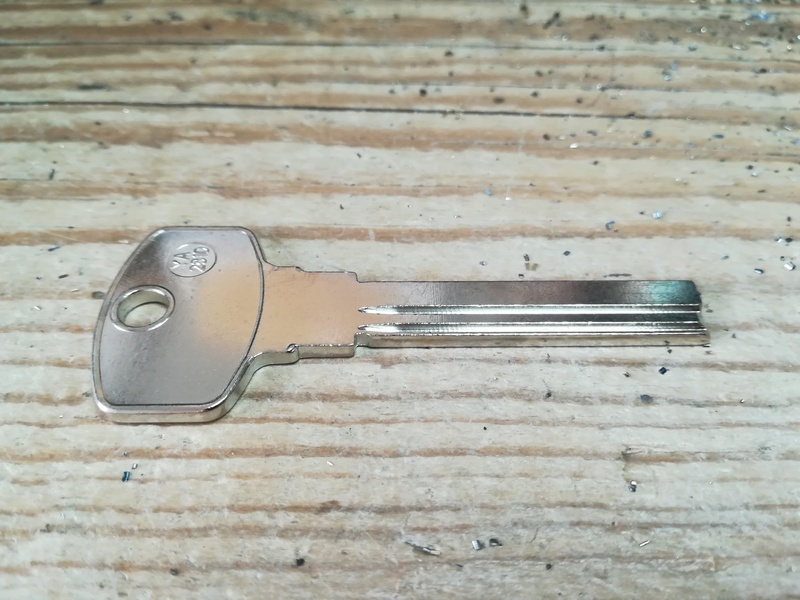 Cylinder Key – Jagged top edge, can be double sided also, these are very common on doors, lockers, file cabinets etc. Church Key – These are like a mortice but much larger and heavier, they are made of cast steel and often feature intricate patterns in the bit at the end. These are made by hand and are very time-consuming to make and hence are very expensive to make when we can get the blanks in. These are not secure locks and whilst may be present on historic buildings as original door furniture they should be supplemented by additional locks. 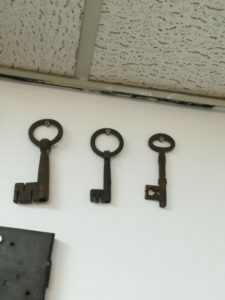 Dimple Keys- These are keys that have cuts that look like little circles on the edges of the keys. 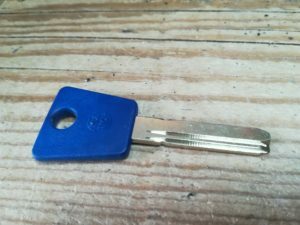 Laser Keys- A large amount of car keys are laser keys, they have a groove in the middle or edges of the flat sides of the keys. 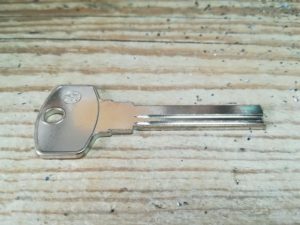 Hybrid Keys- These often combine multiple styles of key for example laser and dimple or laser and cylinder to make a key that is very difficult to copy and a lock that has the advantages of both styles of lock. Q: Whats a Sashlock and Deadlock? A: A Sashlock is typically a mortice lock that has a latch for a handle to go through built into the lock case, these use handles that have the keyway in the bottom of the handle plate. A deadlock has just the keyway on it. 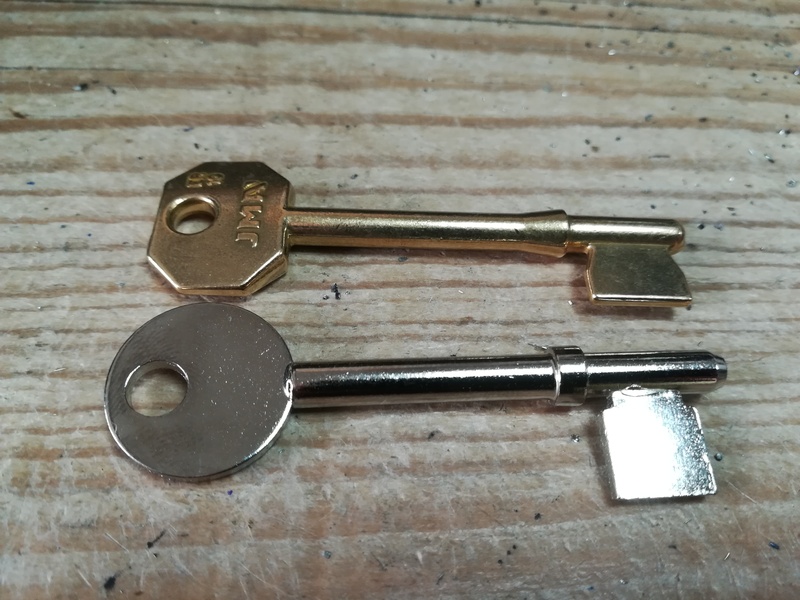 There are two sizes of lock casing ,in general these are 2.5″ or 3″ and this is measured on the casing. If you get the wrong size then the holes to the keyway/handle will be wrong and you may have to chisel out more of your door to fit it. Q: You cut me a car key but it wont start the car? A: Most cars produced after 1996 have a chip in them to allow the car to start. 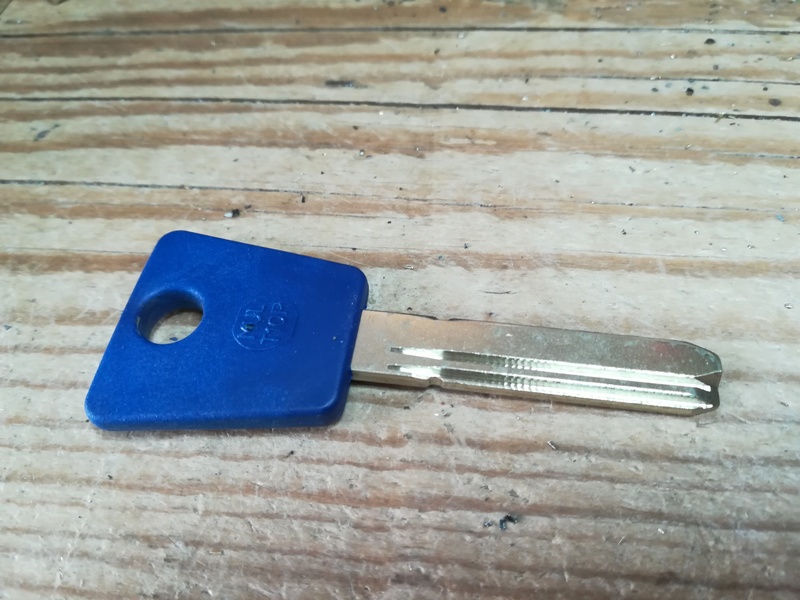 This chip communicates with the immobiliser inside the car and so any key without this will either not crank at all, will crank forever or will start then within 30s switchoff. 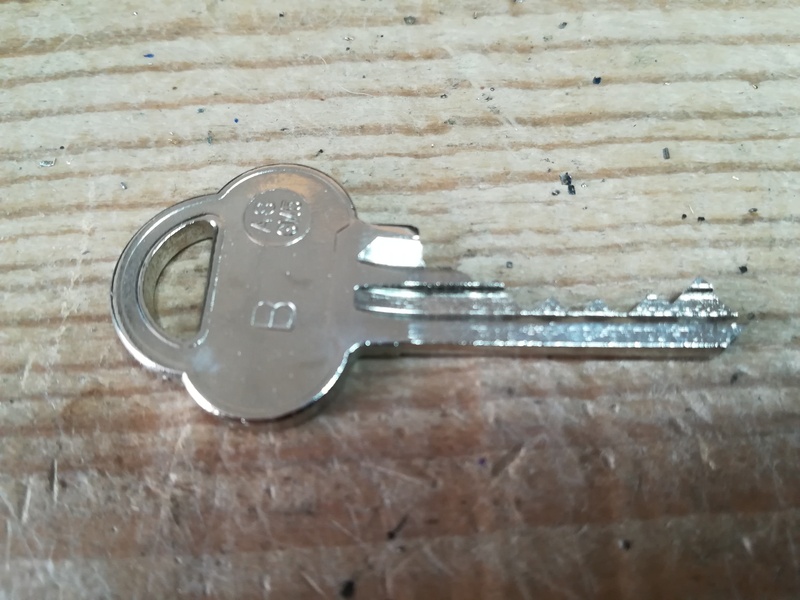 We warn people when they buy car keys from ourselves that unless it is chipped it will only work as a door key, if you would like a chipped key then please contact Aaron who is an Autolocksmith and will be able to code the majority of cars. Q: The Music on your videos is awesome how can I get it? A: Our videos that we make of products or the shop use royalty-free music supplied by bensound.com . They have a range of music available to suit whatever your video may be about.